Look what came in the post today! My copy of the utterly fantastic Stories for Homes anthology, every copy of which (paperback or ebook) raises vital funds for Shelter, the UK's housing and homelessness charity. I have a short story, For Work, Yes in this wonderful book, alongside a fabulous roster of writers, and it is rare that we all get the chance to help in such a direct and concrete way through our writing. Please do buy a copy, in whatever format you like, I can't wait to get reading. The project is the brainchild of Sally Swingewood and Debi Alper and has already raised over £1000 - Debi explains a little about the background over at Shortstops. 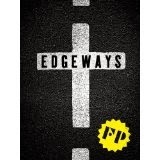 I have had a couple of other new stories published recently, the first of which is Flavours in an e-anthology, Edgeways, published by Flight Press, the brand new short story publishing arm of the wonderful London writer's development agency Spread The Word. The anthology contains the winning stories from STW's short story prize, for which I was one of the judges, along with Bidisha and Courttia Newland. Bidisha and I were then commissioned to write new stories on the competition's theme, Ritual, for inclusion. I haven't got my copy yet but can't wait - I already know how brilliant the winning stories are...! It's been so long since I last blogged about any writing of mine, you might have thought there wasn't much happening, and you'd be mostly right, what with setting up ShortStops (which has taken off with a bang, it's been wonderful! Read more about that in my previous blog post), starting a PhD in Creative Writing inspired by particle physics (more on that in due course) and co-writing the Writers & Artists book on short story writing with Courttia N which will be published by Bloomsbury in Dec 2014. Busy busy busy. But a few new very stories have sneaked in... Biography in the stunning Science & Numbers issue of Synaesthesia magazine (p72), Tunnelling in Timber Journal, and a poem, Meat Market, Smithfield, in Amaryllis. I've just this minute received the proofs of my short short story, Against Joy, which will be published in the excellent Stinging Fly next year, and was overjoyed to hear that one of my flash stories, Heavy Bones, will be included in the forthcoming Flash Fiction International anthology. This is just one in a series of anthologies edited by Robert Shapard and James Thomas over the past 20 years from which I first learned about Sudden Fiction and Flash Fiction 15 years ago - and which are probably entirely responsible for me being in this mess in the first place ;) These are books I learn from over and over again and use in workshops - they are where I discovered Grace Paley and so many more amazing writers. This is a big big honour. Well, that's enough of a round-up for the time being. Seasons greetings and happy reading & writing to you all! I've been very quiet here for months, and one of the main reasons is that I've been working hard on my brand new online short story venture. I'm delighted to announce that today it went live! It's called ShortStops, and in a nutshell (because we like small containers around here) it's me getting excited about all the amazing short-story-related activity in the UK & Ireland, which I think deserves celebrating! So, you will find an enhanced version of my lit mags list, joined by a list of Live Lit events across the UK & Ireland at which short stories are read, by their authors or by actors, plus a list of as many contemporary short story authors as I can find, who have published short story collections. These lists will grow and grow, I know they will. And the site will also feature blog posts by the editors of said magazines and organisers of events, telling you about new issues, calls for submission, upcoming events and pictures from past events etc... So head over to ShortStops, sign up for our mailing list, follow the blog by email, follow us on Twitter.com/ShortStopsUK and Facebook, and join the short story party! I'm having a bit of a break from blogging for the moment so I thought I would highlight my ever-growing list of literary magazines in the UK & Ireland that want your short stories... here they are, happy reading/submitting! Download a PDF of the list here. 20x20 - " a square platform for writings, visuals and cross-bred projects. Writers are invited to submit works up to 1,500 words. Please submit up to 3 written pieces or poems." Bloody Bridge Review - "publishes short literary fiction and poetry, with new material uploaded weekly. We like things that are surreal, difficult, imaginative and darkly comic in terms of content, but relatively traditional in terms of form. We're not really into experimental writing, but we might be surprised, so send it anyway. "EZINE CLOSED? Cherrypicked Hands "I prefer short stories to be short. Poems can be as long or as short as you want, as long as I like them. like poems that describe all kinds of things in all kinds of wonderful ways. I don't like experimentation for experimentation's sake - although I do like it, sometimes, for the poem's sake. Talking of prose, I like short stories that are short - say, below 2,000 words, though I might consider slightly longer pieces. I also like them to be funny, and strange. I like short stories that leave a quiet hum in my head, and that contain characters who I would like to know in Real Life" EZINE ON HIATUS? East of the Web - "is keen to provide exposure for writers by offering them a place where their work will be seen and read in a high quality, respected setting. The site receives about half a million unique page views per month"
Fleeting: "Fleeting publishes exclusive short-form fiction, nonfiction and poetry by new and established writers. We like daring, lucid, erudite, amusing and infectious writing." Fractured West - " seeks stories of honesty, fury, humiliation, and unusual beauty for first print issue. 500 words max...new and emerging writers particularly encouraged." PRINT. CLOSED. Fuselit - "is looking for work that you wrought or forged using the next issue's title (a spur word) as your inspiration point." Ronin Press Phase 47 periodical: "We choose to focus on the alternative & subversive, but we will consider all forms of writing and subject matter....up to 10,000 words a piece, any style." EZINE PRINT CLOSED?